Test, Bleed, Flush: How Can You Protect The Brake System? 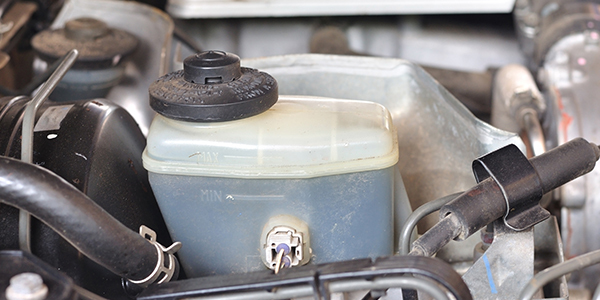 Brake fluid replacement is more critical than ever before. Since 2008, almost every vehicle has come with some form of ABS and a hydraulic control module mounted under the hood or on a frame rail. Since 2012, every light vehicle sold has also been equipped with stability control that has added valves and complexity to the hydraulic control unit. The hydraulic control unit needs fresh brake fluid to operate and protect valves and passages from corrosion. An additive package helps control the pH, cavitation and viscosity. Replacing brake fluid or “flushing” it can extend the life of hydraulic brake components, but when should brake fluid be replaced? 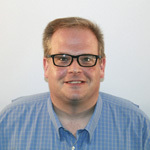 For the past 30 years, OEMs, shops and tool manufacturers have struggled with that question. There have been accusations from consumer protection organizations and investigative reports that some shops have been too aggressive selling brake fluid services. Part of the problem has been the OEMs’ reluctance to publish time or mileage recommendations for brake fluid replacement. Most of the time, the recommendations were to only “inspect” the brake fluid in the master cylinder. The methods of inspection were left up to the service provider to test the fluid and justify replacement. Visual inspection of the fluid can be extremely misleading. The color of brake fluid can vary from clear to shades of blue. Even if the brake fluid is discolored, it might still meet the system’s performance requirements. Also, the brake fluid in the master cylinder reservoir can have a far different appearance than the fluid contained in the calipers. Boiling point testing was one of the first methods of determining the condition of the brake fluid and still works today. Boiling point tests are an indication of how much moisture the brake fluid has absorbed. It is a valid test that many state inspections use. But, it can’t test the condition of the additive package that controls corrosion in the brake system. The analysis can be performed with special tools that measure the water content by the passing light or electricity through the fluid. Measuring the pH of the fluid can capture the condition of the additive packages in all brake fluid. These additive packages have buffers that control the pH. Additives that regulate the pH of the fluid have a limited lifespan and can absorb only so much acid before they are depleted. When the buffers are gone, the pH of the fluid can rapidly rise. Testing the pH of the brake fluid can be performed with a test strip, which can be used to justify brake fluid services to the customer. Another method is to measure the amount of copper in the brake fluid. Copper is used to coat the insides of hydraulic brake lines. As the additive package in the brake fluid wears out and corrosion occurs, the copper is pulled off the insides of the brake lines and becomes suspended in the brake fluid. The more copper in the brake fluid, the more corrosive the brake fluid becomes. Testing of copper concentrations can be performed with test strips, and the results can be shared with the customer. 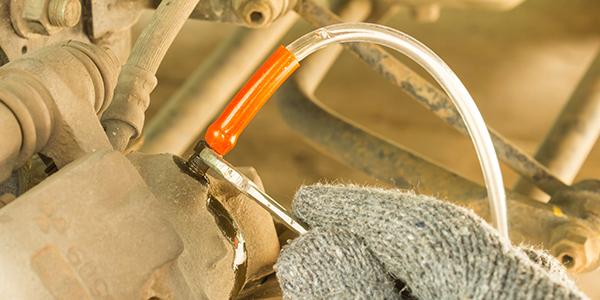 Replacing brake fluid requires more tools and skills than changing oil. Old-school methods like the two-man manual or gravity bleeding still work, but they are not efficient at replacing large volumes of brake fluid in a short period of time. Machines that can power or pressure-bleed a system can make a fluid flush as efficient and profitable as possible, and remove all of the air from the system. These machines are changing because of ABS and stability control systems. In the past, only 15-30 psi was required to pressure-bleed the system. Some new systems may require 50-60 psi to bleed or flush the system. The other bleed or flush procedure that is often ignored is using a scan tool to actuate the hydraulic control unit. The worst fluid is trapped in the ABS valves and passages due to its non-integral design. You should never feel bad about recommending brake fluid replacement if you have the right tools to test and flush the brake fluid. It is cheap insurance that will protect the vehicle’s hydraulic components.